Kansas City, Kansas. John Ripple walked into a bank and handed the teller a note demanding cash and stating he had a gun. The teller handed over $2,924.00. Ripple then sat in the lobby for police to arrive. Ripple surrendered. Upon his arrest, he told investigators that he wrote the note in front of his wife, telling her he’d rather be in in jail than live with her. Prior to sentencing, Ripple sought leniency as he was facing up to 37 months in prison. Ripple cited his recent heart surgery and depression, causing him to not “be himself.” Interestingly, the bank vice president and teller also supported a lesser sentence. In a twist of fate, the Court sentenced Ripple to 6-months of home confinement. Sentencing him to the fate he was seeking to escape. There has been no update as to whether he was seeking post-conviction relief for cruel and unusual punishment, being forced to live with your spouse. 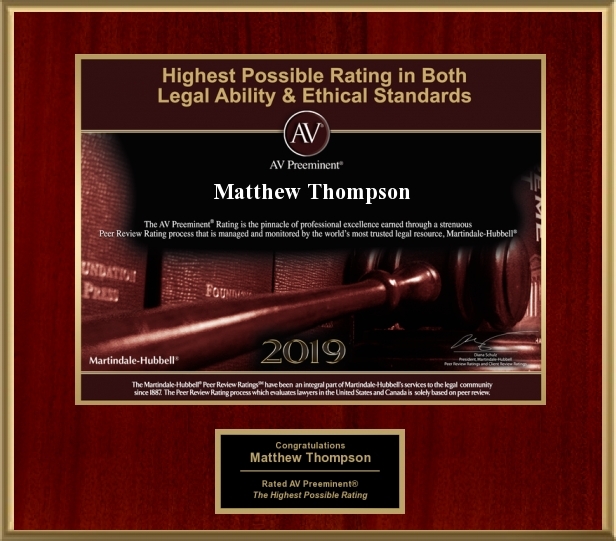 Matthew Thompson is a divorce attorney in Mississippi and reminds you there are easier ways than robbing a bank to get divorced.